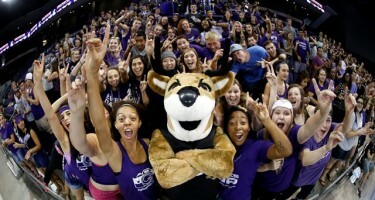 Every men’s basketball game at newly expanded Grand Canyon University this season will be a special event — in more ways than one. For the first time, every game will be tied to a cause or an event or both. It’s all part of giving back to the community, starting with Military Appreciation Night for the exhibition game against Western New Mexico on Thursday. It has been an interesting evolution to giving every game a purpose that goes beyond basketball. GCU’s Dean of Students Pastor Tim Griffin said it grew from talks University officials were having with various charitable organizations. The more they talked, the more they learned about new initiatives, some of which they shared … or wanted to share. The first special game night last season with a local organization benefitted the Phoenix Dream Center. The University also had games honoring the military and alumni, but Griffin said it quickly became obvious that there were plenty of charities to fill the schedule. 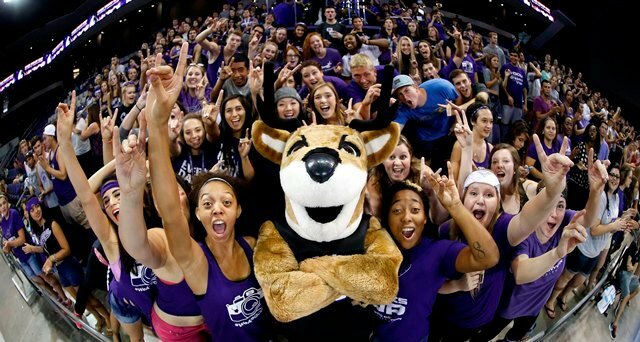 This season, GCU will contribute more than $100,000 to these groups in addition to giving them special treatment at the games. For Thursday’s game, GCU is partnering with the local nonprofit Packages from Home, which started when Kathleen Lewis sent packages overseas to her son Christian after he was deployed to Iraq in 2004. Other members of his unit weren’t getting anything like that, so when Christian told his mom she started sending all of them packages and eventually founded the organization. You can learn more about it here. Packages from Home will bring more than 15 volunteers to the game, and fans are asked to bring hygiene essentials for packages to be shipped to soldiers. There also will be a “Letters to Troops” station at which fans are encouraged to write letters or draw pictures that will be sent overseas. More than 200 military members and their families have been invited to the game. But that’s only the start of what will be a seasonlong initiative. Here is the rest of the home basketball schedule with the opponent, the organizations that will benefit and what special events, if any, are scheduled (subject to change).